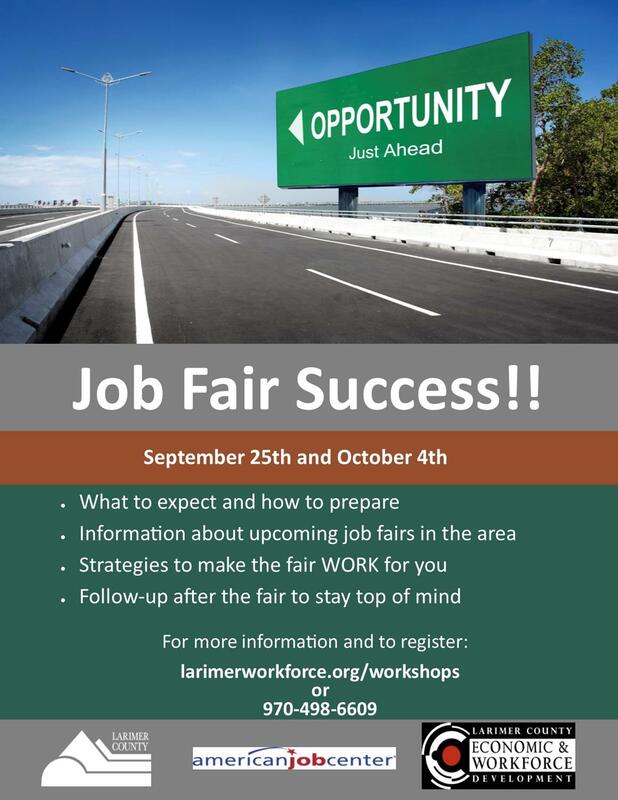 Make job fairs a success! Gather information about upcoing job fairs in the area. Wondering what to do after the fair? Larimer County Economic & Workforce Development is an equal opportunity agency and supports Veterans priority of service. Accommodations for persons with disabilities provided upon request.